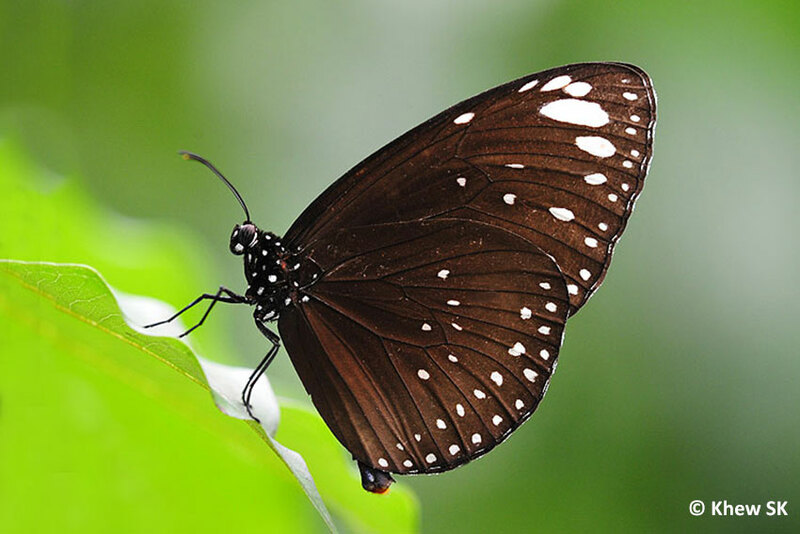 The month of May saw the weather changing from hot and dry to several days of torrential rain and gloomy weather. 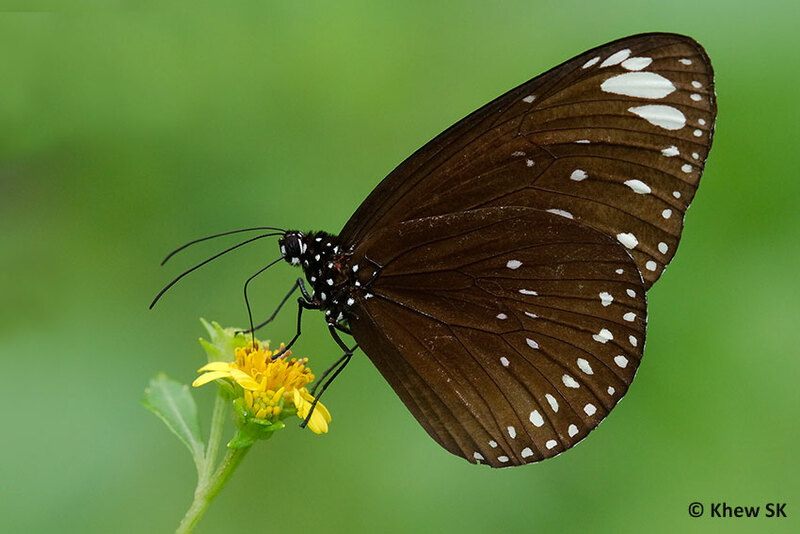 The earlier forecast of a dry spell by the National Environment Agency's Meteorological Service was quickly amended to warnings of intermittent thunderstorms and hot humid weather again. The expected 'butterfly season' this year did not materialise. ButterflyCircle members who were out in the field all reported a rather consistent observation - that there were fewer butterflies at this time of the year compared to previous years. 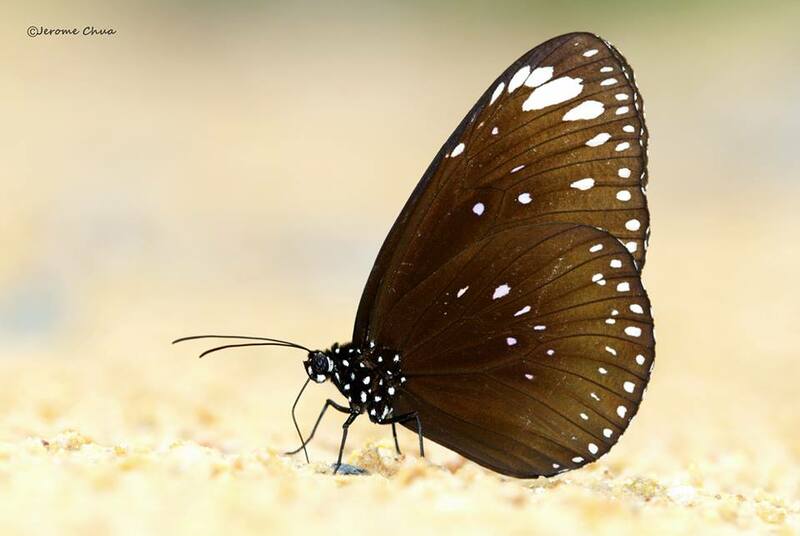 Did any weather phenomenon alter the butterfly activity? Or is this an exceptional year where there is distinctly a lower butterfly count than before? Whether this will continue in the coming years, we will have to continue to observe. Globally, the wrath of Mother Nature was felt in Nepal, with a major earthquake striking towards the end of April, and another aftershock that occurred on 12 May. Considering the enormity of the earthquake, registering 7.8 on the Moment Magnitude Scale, casualty was around 8,000 fatalities and over 19,000 injured and even more made homeless. If such an earthquake were to strike a more densely populated city, the casualty rate would have been unimaginable. 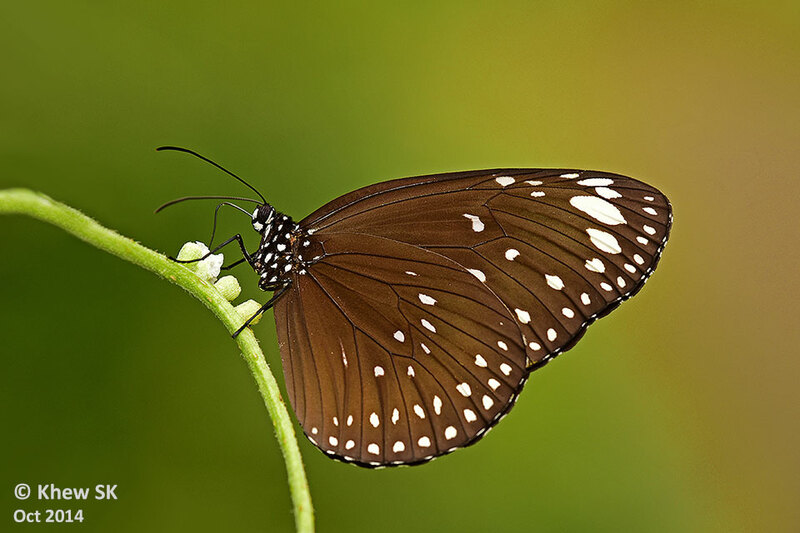 Still, a life lost is a life lost. And the unfortunate citizens of Nepal who made it through the aftermath of the disaster need a lot of help in picking their lives up. My company organised an in-house donation drive, and managed to raise over S$8,000 for the victims of the quake. A lot more needs to be done, and different groups are organising themselves to give whatever assistance they can - in cash, in kind and other forms of aid. 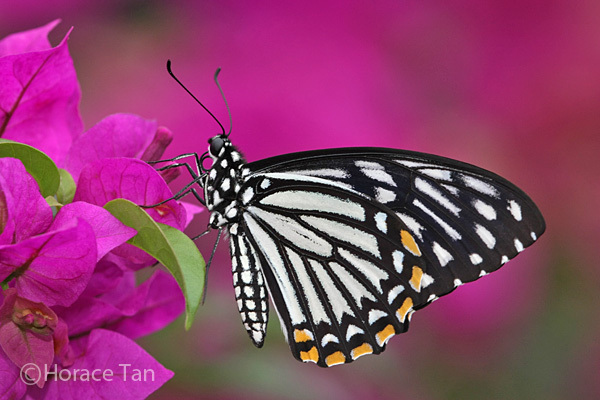 Over in Singapore, the SG50 (celebration of Singapore's 50th anniversary) events continue in various shapes and sizes. 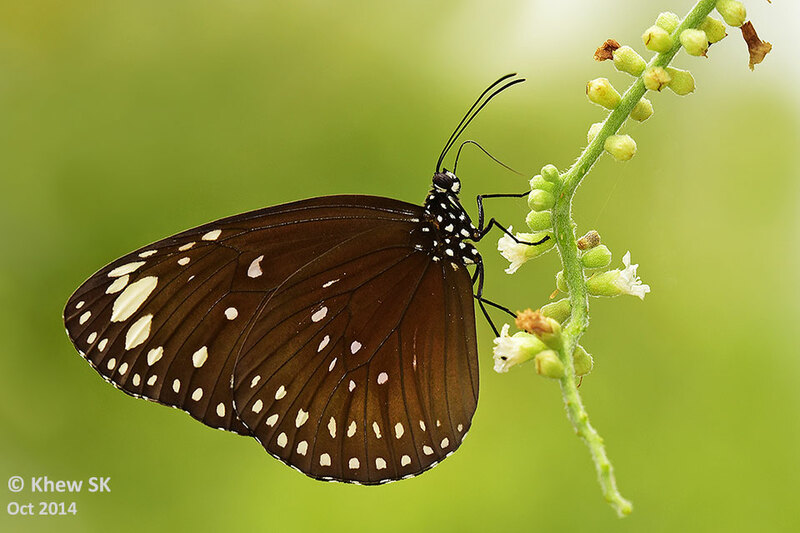 Preparation for the 28th South East Asian (SEA) games in Singapore is well under way. The games will commence on 5 Jun till 16 Jun. It has been 22 years since the games were held in Singapore - the last time being in 1993. With Singapore's new Sports Hub and updated facilities since then, the games venues are expected to be more sophisticated. 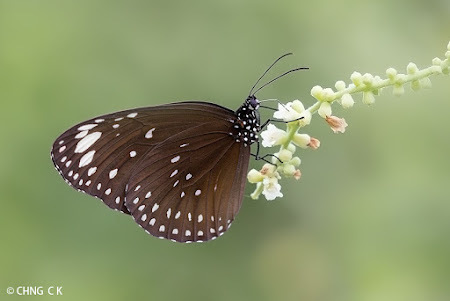 This month, we feature one of the many "Crow" butterflies of Singapore, the Spotted Black Crow (Euploea crameri bremeri). 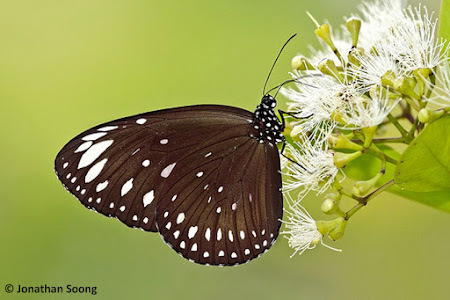 The Crows from the genus Euploea feature medium-sized butterflies with predominantly dark coloured (navy blue or black) wings. 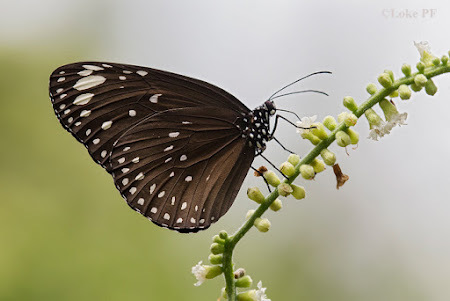 The characteristic black or blue butterflies with prominent white spots and streaks, resembling their avian namesake Crows, probably gave rise to their collective name for this group of butterflies. 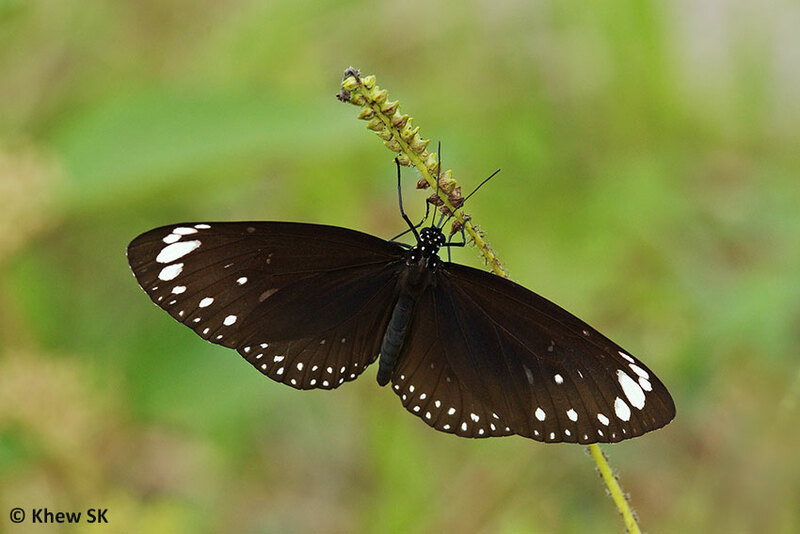 The Spotted Black Crow is moderately rare in Singapore, and often observed singly where it occurs. The adult butterfly has an average wingspan of 70-90mm. 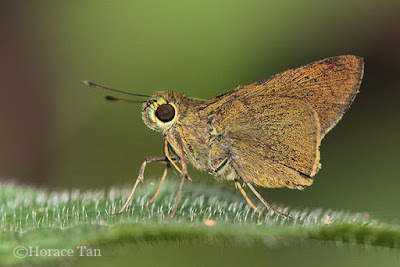 It is usually found in forested areas, and particularly near mangrove and coastal areas like Pasir Ris Park, Pulau Ubin and Sg Buloh Wetland Reserve. The Spotted Black Crow's wings are predominantly black on the upperside and underside, except for the series of white marginal and submarginal spots on both the fore and hindwings. There are five apical spots on the forewing, two large and three small elliptical spots. 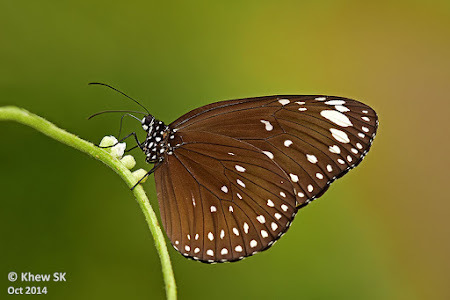 The smallest spot on the forewing is one of the distinguishing features that separate this species from the closely-related Blue Spotted Crow (Euploea midamus singapura). 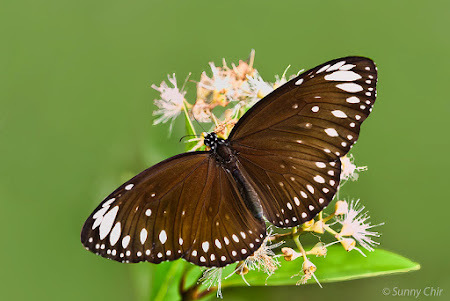 Unlike some of the other species in the genus, the male Spotted Black Crow does not have a brand on the forewing. The number of white spots on the hindwing and marginal area can be variable, and some individuals can have either missing spots, or larger than usual spots on the hindwings. 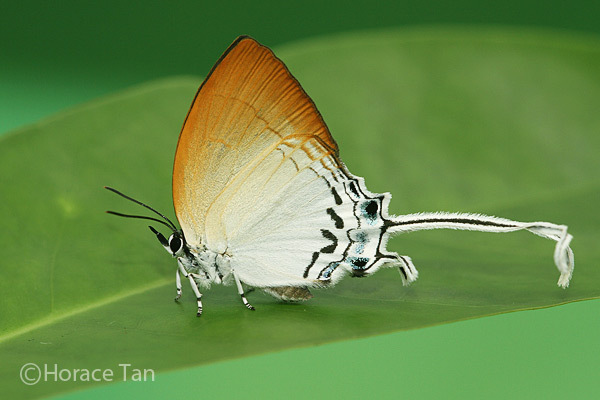 Females are paler than the males. The butterfly flies and glides unhurriedly whilst looking for flowers to feed on. 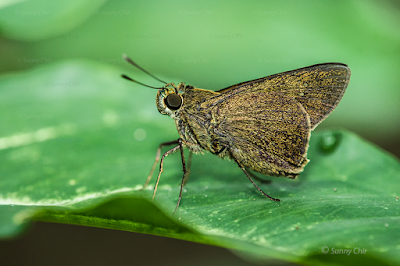 However, it is very alert and when photographing this species, a slight movement would make the butterfly take off quickly. 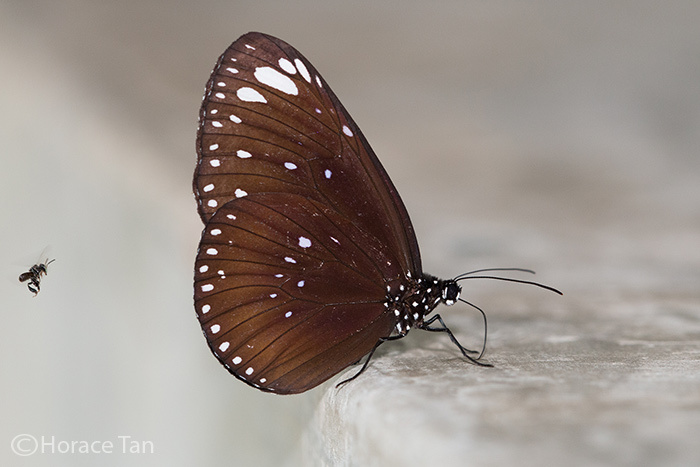 Occasionally, males can be observed puddling at damp sandbanks and concrete structures in the nature reserves. The full life history of the Spotted Black Crow has been successfully recorded on this blog, and can be found here. 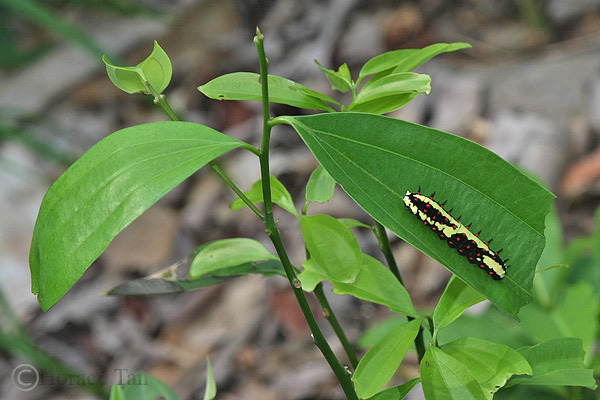 The local caterpillar host plants in Singapore are Gymnanthera oblonga (Apocynaceae, common name: Sea Rubber Vine), Parsonsia helicandra (Apocynaceae). 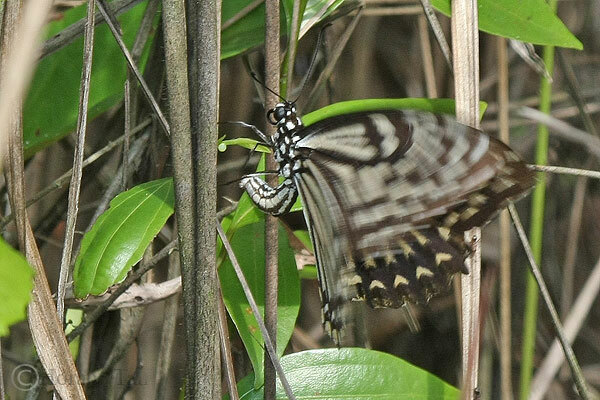 Both plants are lactiferous and are often found in the vicinity of mangrove areas. 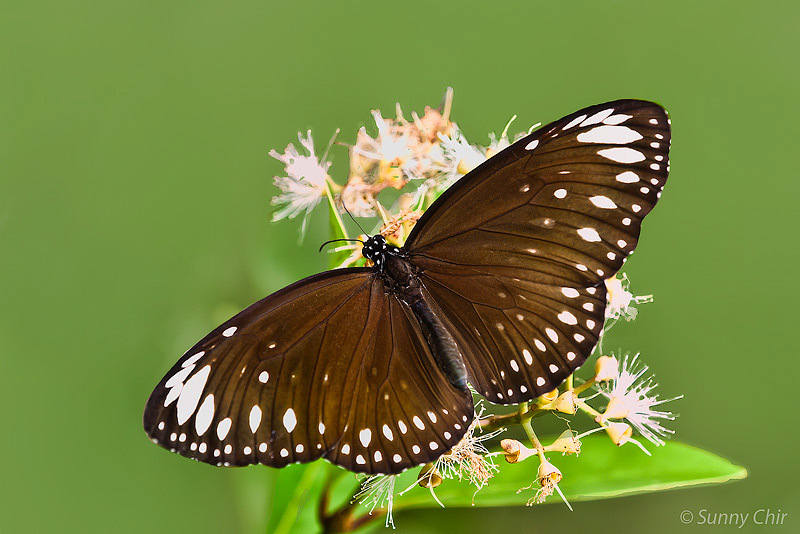 The typical colour and spots of the Crows are believed to be aposematic colouration that signal to would-be predators (especially birds) that the butterflies are distasteful and should be avoided. 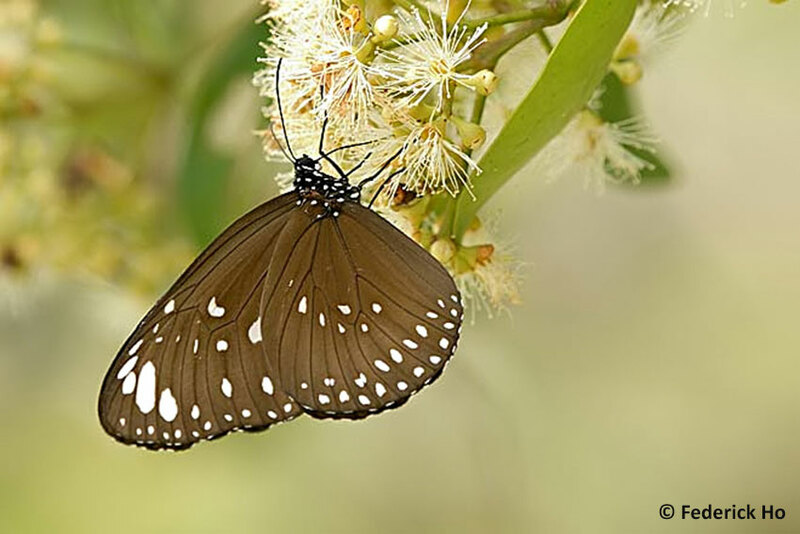 This 1st instalment of our Butterflies' Larval Host Plants series features a species of the family Lauraceae, Cinnamomum iners. 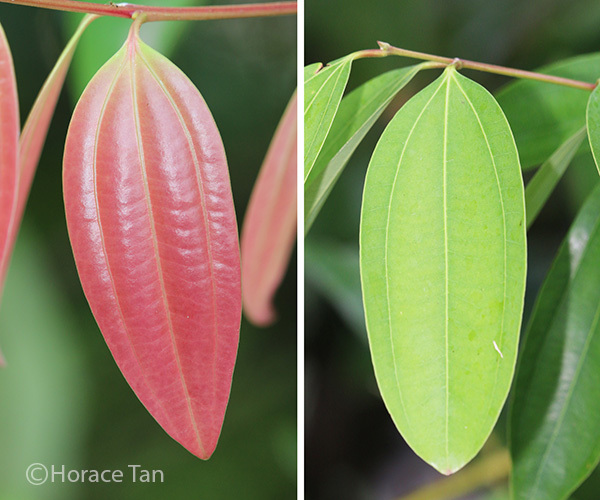 The genus Cinnamomum comprise over 300 species in tropical and subtropical regions. 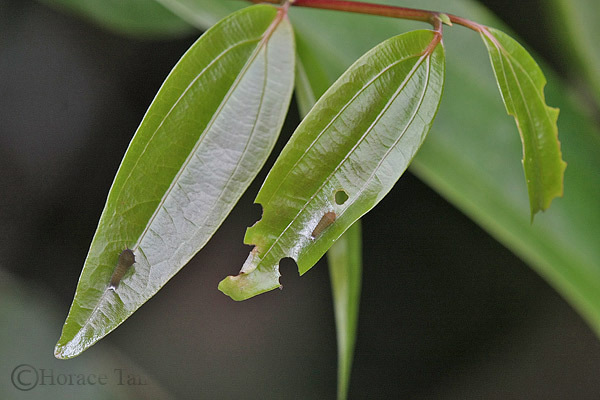 Due to the presence of aromatic compounds in leaves and barks, a number of notable Cinnamomum species have commercial value as spices: 1) Indian bay leaf comes from the species C. tamala; 2) camphor is derived from C. camphora; and 3) cinnamon is made from inner barks of several species including C. verum (true cinnamon) and C. iners (the subject of this article). C. iners is widely planted as ornamentals or as hedges in gardens and parks in Singapore, likely due to its attractive foliage when there is a growth of new leaves of red and pink,. 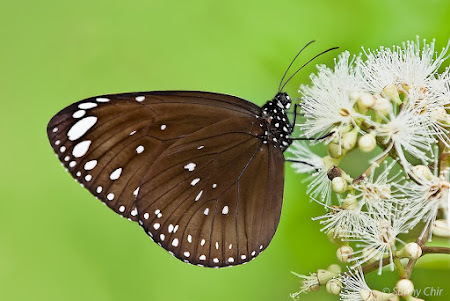 It is native to the Malaya peninsula, Singapore and India, but can be commonly found across the tropical regions. 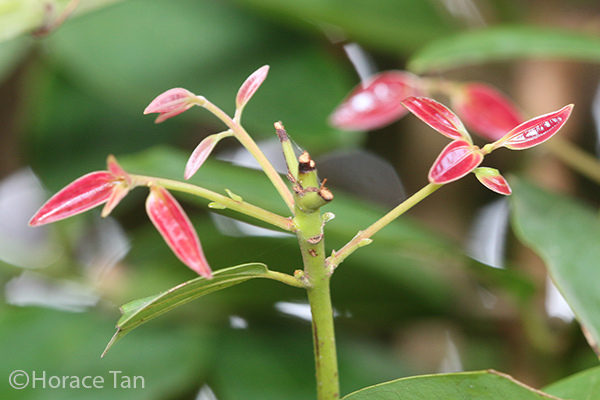 In Singapore, besides gardens and parks, this plant can be found in secondary forests, forest edges, and wastelands. 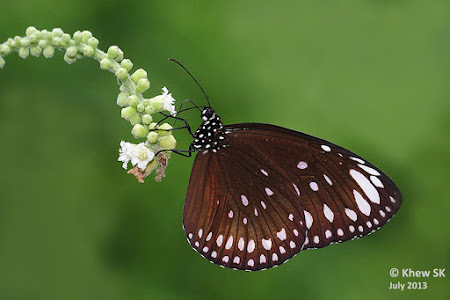 Larval Host for Butterfly Species: Graphium sarpedon luctatius (Common Bluebottle), Chilasa clytia clytia (Common Mime), Cheritra freja frigga (Common Imperial). 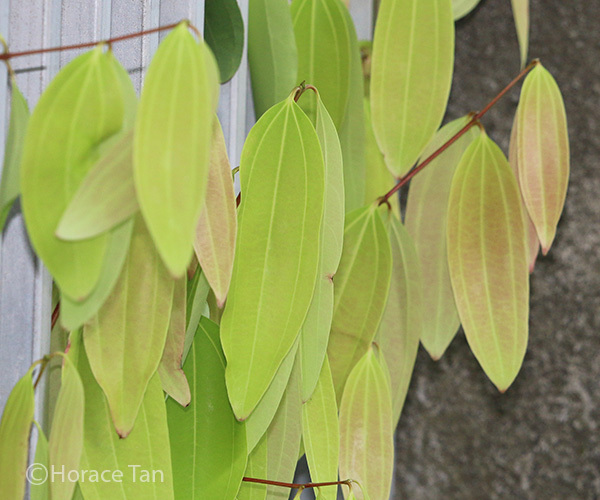 A wild cinnamon tree in the Japanese Garden. 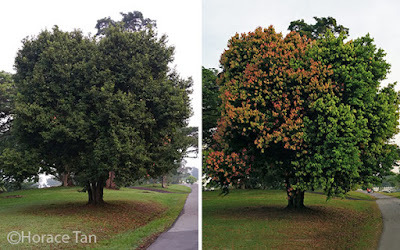 Left: without new leaf growth. Right: with new leaf growth. 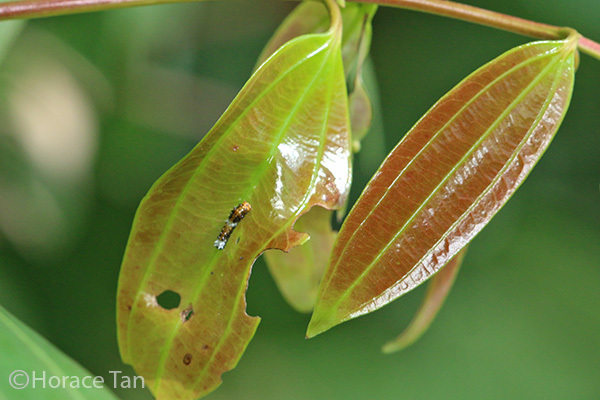 An evergreen, small to medium-sized tree that grows up to 18 m tall, the Wild Cinnamon features ovate-oblong leaves ranging from 8 to 30cm long. The thin and leathery leaves are simple and 3-nerved at base (having three longitudinal veins) and are arranged in opposite pairs. New leaves appears twice or more in each year. 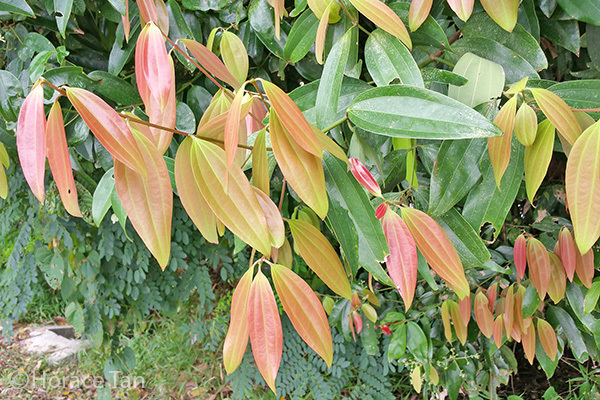 The young leaves are initially reddish pink. The reddish pink young leaves. The reddish and light green young leaves showing the three longitudinal veins. The maturing leaves are soft and drooping, and light green in colour. 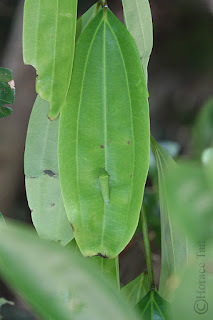 Fully matured leaves are stiff and dark green. 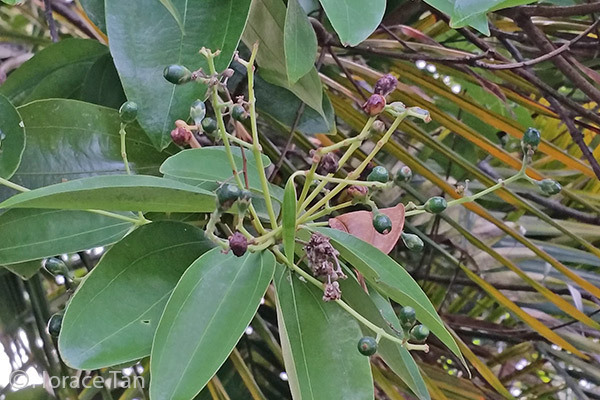 Traditionally, the leaves have medicinal uses as treatments for diarrhea, coughs, fever and rheumatism, and as an antidote for poisoning by the latex from the Poison Arrow Tree. 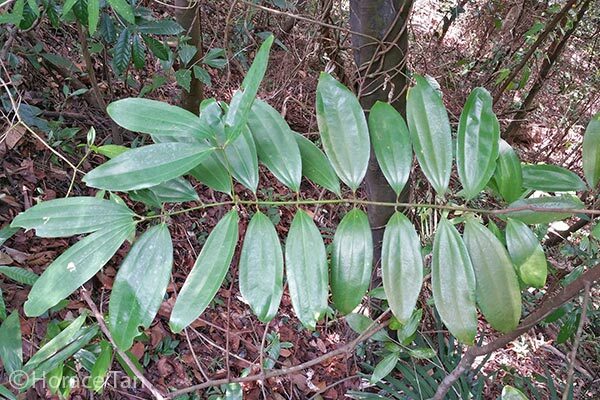 Mature leaves of the Wild Cinnamon. 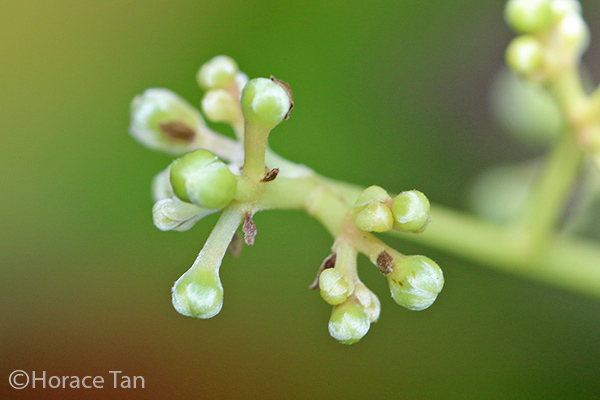 Flowers of the Wild Cinnamon are small, creamy white to yellow and occur in panicles (much-branched inflorescence). 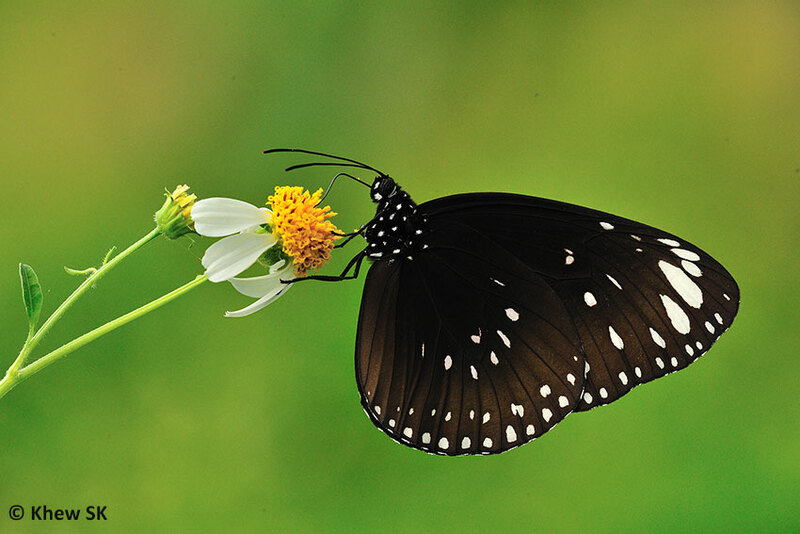 These bisexual flowers attract insects such as bees, hoverflies and small beetles to act as pollinators in the reproduction process. Panicles of flowers of the Wild Cinnamon. 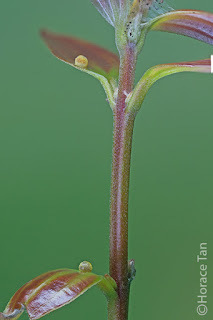 Close up view of the flower buds. 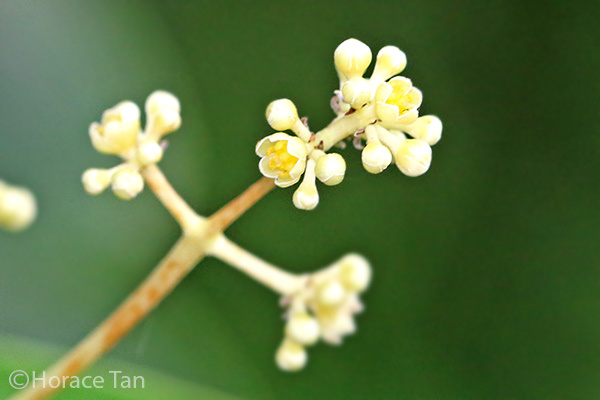 Close up view of the creamy yellow flowers. The small berry-like fruits are round to oblong, about 1.5x1 cm. 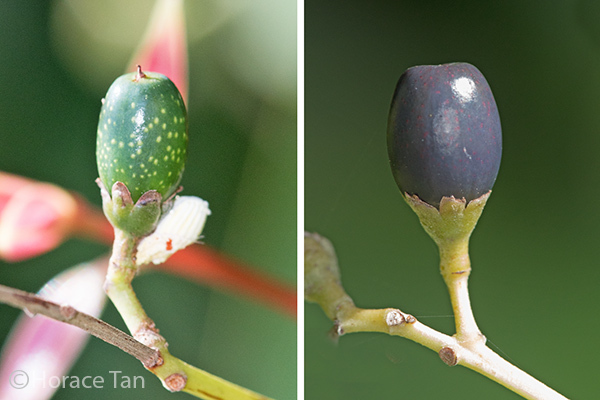 They are initially green, but turn dark blue to purple when ripe. Bunches of fruits of the Wild Cinnamon. 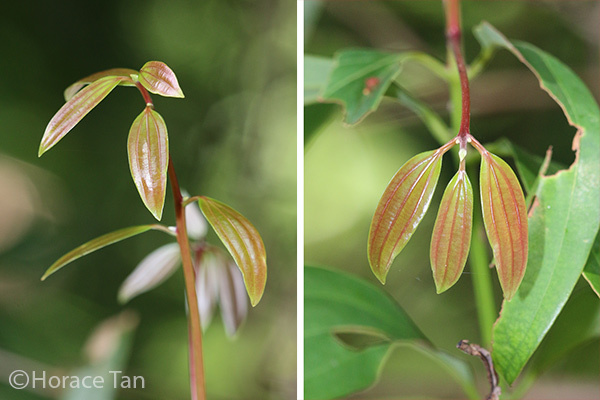 Left: young fruit; Right: mature fruit of the Wild Cinnamon. In Singapore, the Wild Cinnamon also serves as the larval host plant for three butterfly species: Common Mime, Common Bluebottle and Common Imperial. 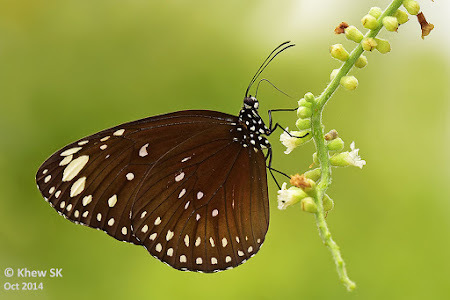 The first two are swallowtail species, while the last one is a lycaenid. 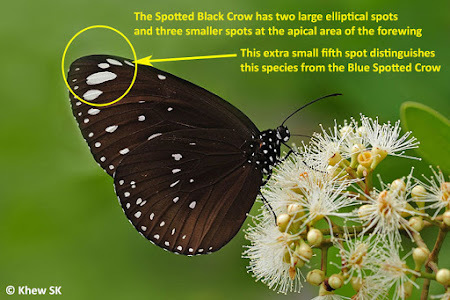 Eggs of these three butterfly species are typically laid by the mother butterfly on the stem/leaves of a young shoot of the Wild Cinnamon, usually when the plant still at the sapling stage, at low heights (knee height to chest level). 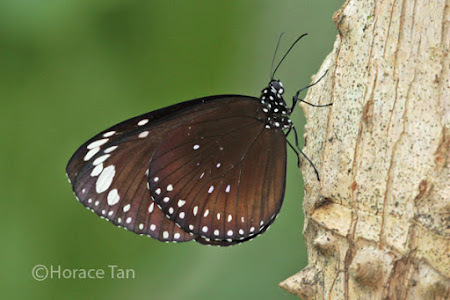 A female Common Mime butterfly laying an egg on the underside of a young leaf of the Wild Cinnamon in a wasteland just outside the Dairy Farm Nature Park. A female Common Bluebottle butterfly laying an egg on the stem of a young shoot of the Wild Cinnamon in the Southern Ridges. 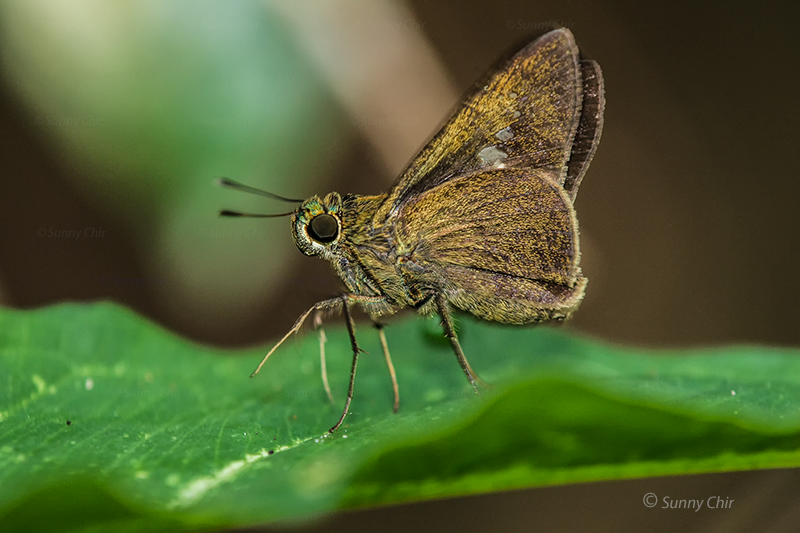 A female Common Imperial butterfly laying an egg on a young leaf of the Wild Cinnamon in the Southern Ridges. 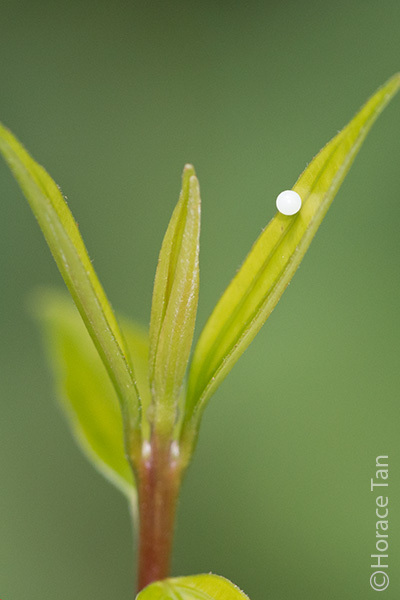 Left: eggs of the Common Mime; Right: an egg of the Common Bluebottle, found on young shoots of the Wild Cinnamon in a western wasteland. Caterpillars of all three species feed only on young leaves of the Wild Cinnamon, and avoid the fully mature leaves altogether. 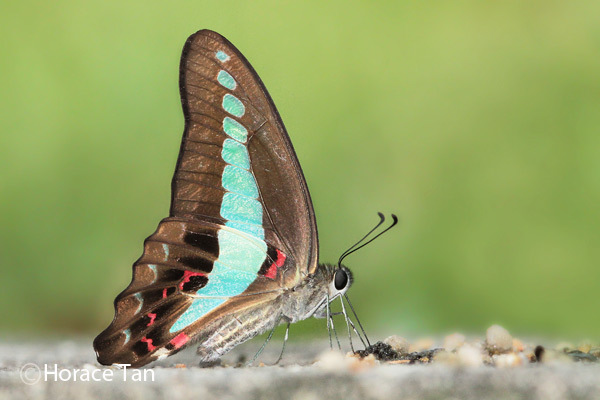 When resting between feeds, caterpillars of both Common Mime and Common Bluebottle position themselves on the upperside of the leaf, and are thus relatively easy to spot. As a lycaenid, one might expect to find caterpillars of the Common Imperial in the company of attending ants. However, this is not the case as the Common Imperial caterpillar lacks the dorsal nectary organ and tentacular organs typically found in most lycaenid species. 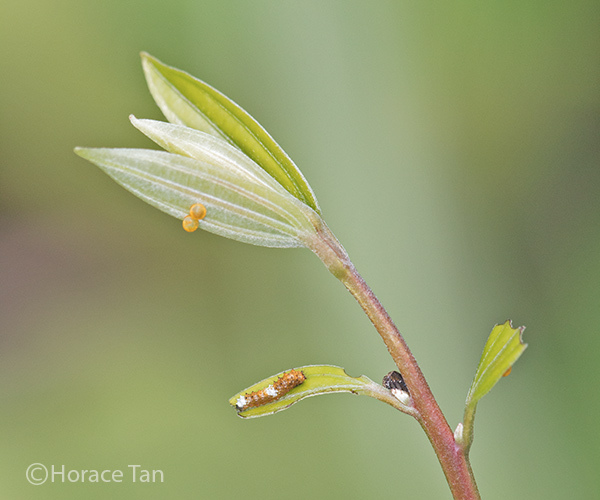 Two eggs and one 1st instar caterpillar of the Common Mime found on together on a young shoot of the Wild Cinnamon in Jurong Eco Garden. 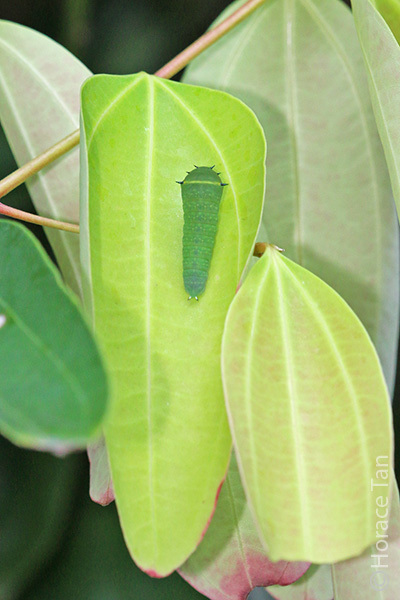 A 2nd instar caterpillar of the Common Mime resting against the mid-rib on the upper surface of a young leaf of the Wild Cinnamon. 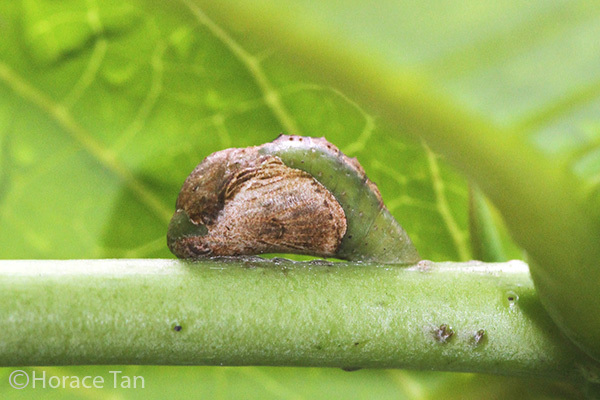 A 5th (final) instar caterpillar of the Common Mime found on a leaf of the Wild Cinnamon in the Southern Ridges. Early instar caterpillars of the Common Bluebottle found on the upperside of young leaves of the Wild Cinnamon in the Telok Blangah Hill Park. 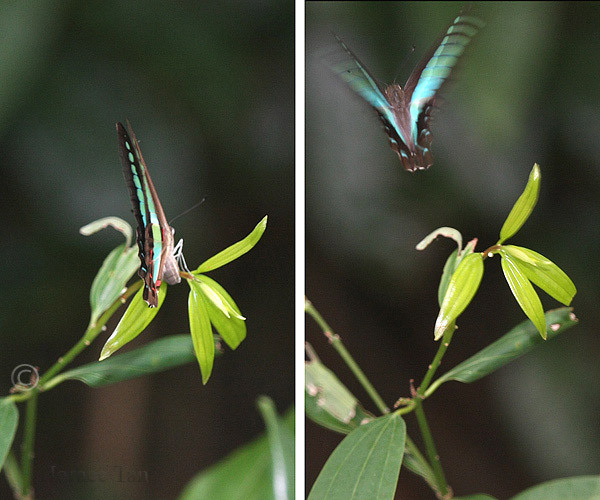 4th instar (left) and 5th instar (right) caterpillars of the Common Bluebottle sighted in Mount Faber. Caterpillars of the Common Mime typically wander away from the leaves and choose a stem/branch (not necessarily on the same Wild Cinnamon plant it feeds on) as its pupation site. 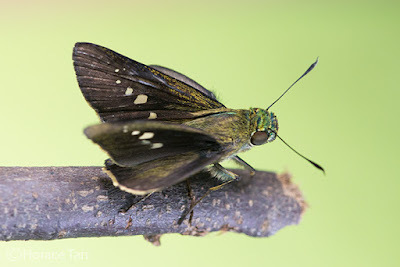 Common Bluebottle caterpillars, on the other hand, could simply choose to pupate on the underside of a leaf or stem of the same Wild Cinnamon plant. 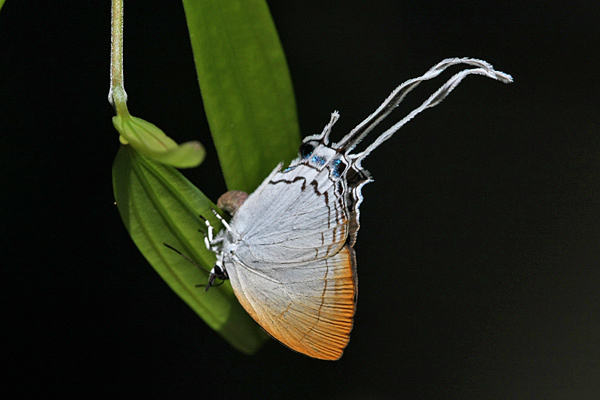 In the case of Common Imperial, the pupation site is usually a spot on the stem of the same plant it feeds on. 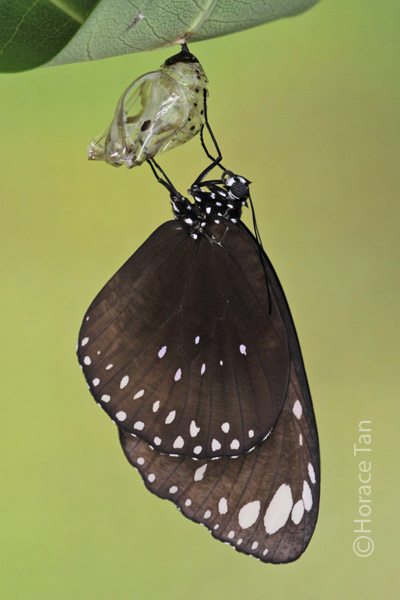 A pupa of the Common Imperial found in the Southern Ridges. 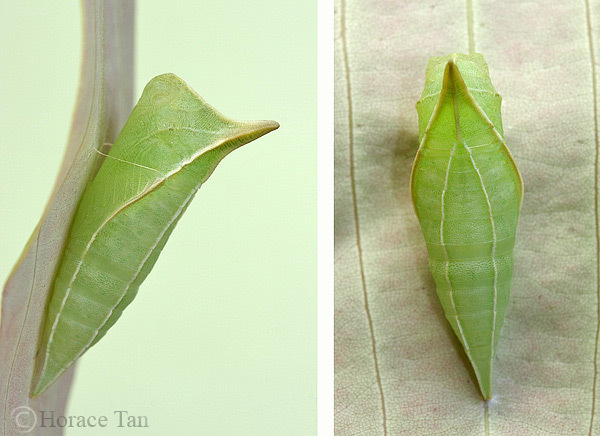 Two views of a pupa of the Common Bluebottle on the underside of a leaf of the Wild Cinnamon. 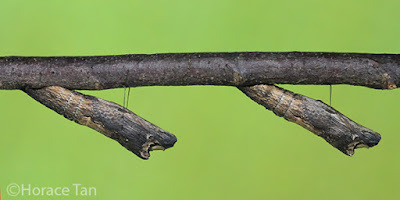 Two pupae of the Common Mime on the same branch. 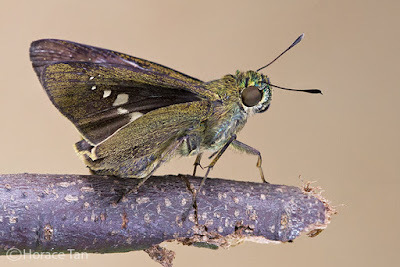 So when you are out in our parks and gardens, take a closer look whenever you encounter the Wild Cinnamon, and you may be pleasantly surprised by the sight of caterpillars or pupae of these three butterfly species, or better still, the sight of a mother butterfly doing its oviposition run. 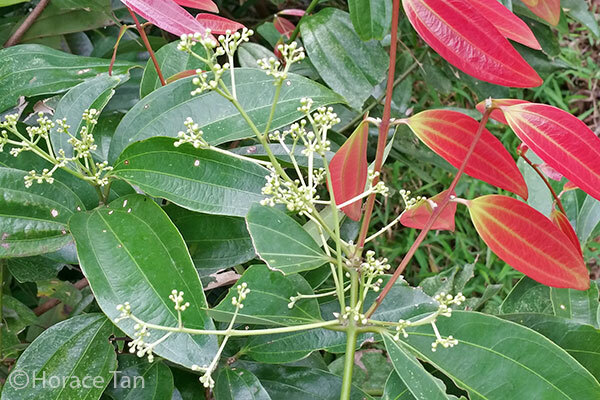 Flora Singapura - Cinnamomum iners. DNA, Lee Kong Chian Natural History Museum - Cinnamomum iners.